Yay! 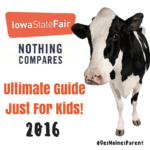 It’s August and you know what that means … The legendary, “Nothing Compares” Iowa State Fair! 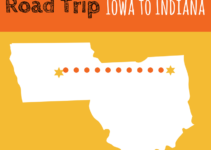 If you live in Iowa, families plan their vacations, jobs, and lives around this 11-day event. 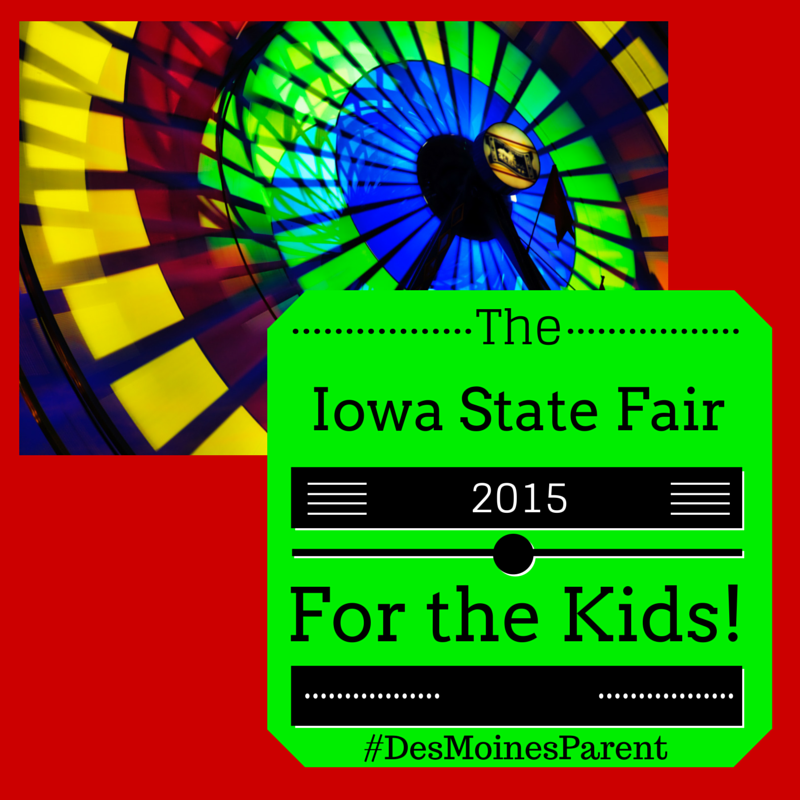 From August 13th – August 23rd, children and families will be taking the day to explore the Iowa State Fair, probably not only once, but several times! It can become overwhelming and expensive, but don’t worry, I am here to help guide you through what you should think about before attending the fair! Let’s start with THINGS TO DO! There are lots of things to do, but here is a list of specific things that you may want to check out with the kiddos. 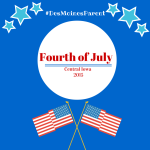 The Iowa State Parade – Every year, it is the Wednesday evening before the gates open for the fair. 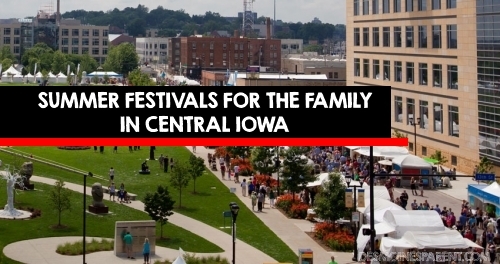 This year it is Wednesday, August 12th and will begin at 6:15 pm in downtown Des Moines. 200 floats, animals, vehicles and more! Parade entrants will then travel west on Grand Avenue to 13th Street. Dispersion will take place between 13th and 18th Streets. Midway & Kiddieland – Rides! One of the best parts of the fair, right?! 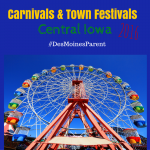 Check out the list of rides & height requirements. If you think you will be riding lots or rides, several times then purchasing a pass is going to be the best thing for your wallet! Kids Zone – The perfect place for your little ones! Little Hands on the Farm – Hand on exhibit! Check here for programming! 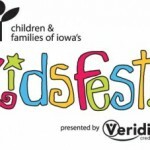 Blue Ribbon Kids Club Tent – Membership benefits here. Livestock – One of my favorite things to see at the fair! With all the kids touching the livestock PLEASE make sure they wash their hands! Food – Check out the list of new items this year! Hedrick’s Petting Zoo – Open 9 am – 9 pm daily, north of Gate 11! Landscapes Sand Sculptures – Open 9 am – 9 pm daily, in Varied Industries Building. The Red Trouser Show – Shows daily at noon, 3 pm & 6 pm, on Expo Hill! Spray Pad – Perfect place for the kids to run and cool off on a super hot day! Bring extra clothes! AgVenture Discovery Trail – Try out our AgVenture Discovery Trail, an ag-themed scavenger hunt that leads kids through the Fairgrounds as they learn about livestock, wind energy, crops and more. Stop at six of the eleven stops, then turn your map in for a fun prize! Open 9 am – 9 pm daily! Art Attack – Located in the Courtyard in the Cultural Center. 1-5 FREE children’s activities! Now, that you know of some things to do … PRICES & HOURS! Buildings: 9 a.m. to 9 p.m. Check out all the discounted airtime admission opportunities! There is still time to purchase punch cards, mega passes, etc. I HIGHLY recommend taking advantage of these. It will save you lots! Check out all the details here and don’t delay to purchase! All online order close at NOON on AUGUST 12th! PARKING! There are several places to park and it depends on where you are coming from, how long you will be at the fair, etc.! DART Park & Ride – 8:30 am – Midnight everyday. $2 for adults, $1 for seniors, disabled & children (6-10 years). Show your advanced Fair admission and get HALF off! Park at someone’s house and/or yard surrounding the fairground – Prices vary! Cash – Most places do take debit/credit cards, but it is always a bit easier and quicker when you have cash on hand. There will be about 30 ATM’s available and scattered throughout the fairgrounds. Hand sanitizer – There are lots of animals to touch and play with, make sure you have something to clean your hands afterwards! Extra clothes – As mentioned above, there is a fun splash/fountain area for the kids to run and cool off in. Make sure you have some dry clothes to change them in afterwards! Food & Water – On the site, it states you cannot bring in outside food & drink. My past experiences, if you have small children, packing water bottles, sippy cups, and small snacks will be fine! I highly recommend doing, otherwise water will add up quickly! An itinerary – Some like to stroll and take in the fair at their own time. If you are wanting to see specific attractions, shows, etc. I would highly recommend creating an outline before going. This way you can see and do as much as you can in one day! There is an AWESOME resource on the fair’s website! You can check out the daily program and create your itinerary right on the site, print and take it with you! Check it out here! 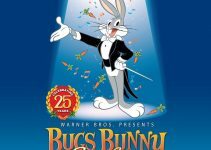 Bugs Bunny + The Des Moines Symphony!